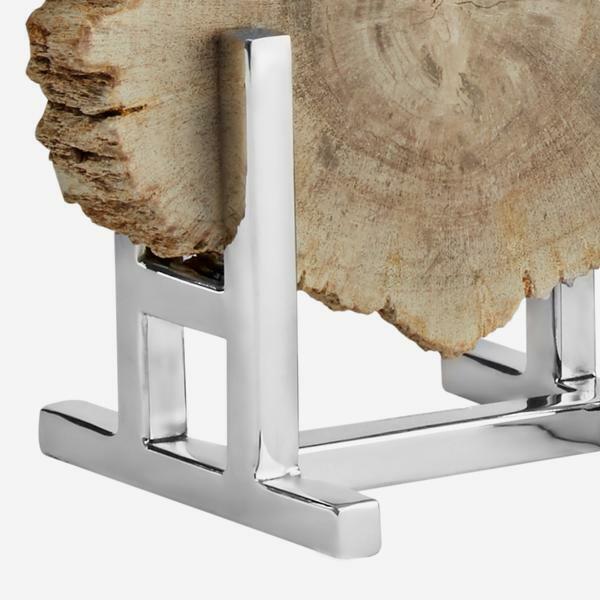 In a highly polished steel stand, this natural sculpture shows the stunning results of millennia-old trees which have completely transitioned to stone. 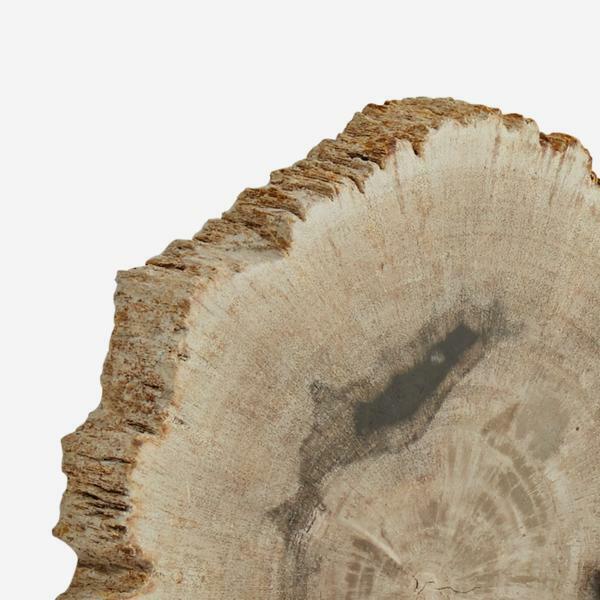 The process occurs underground, when wood becomes buried under sediment or volcanic ash and is preserved due to a lack of oxygen. 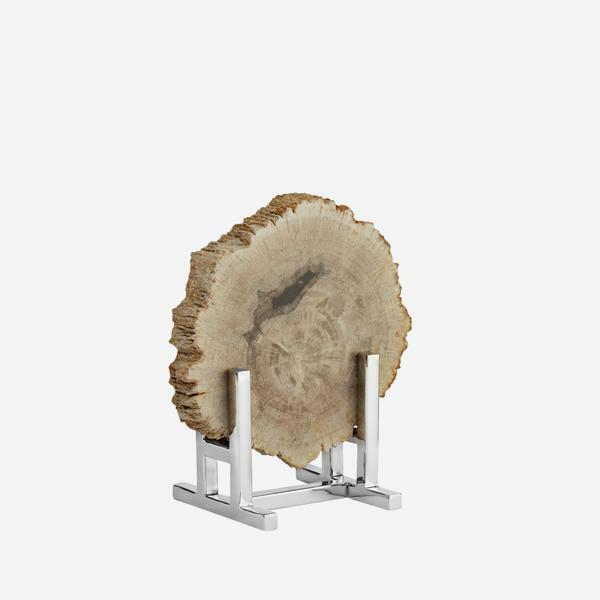 A physical encapsulation of age-old eras, petrified wood has been attributed to the energic quality of patience and is said to add serenity to a room.